Can you help Field of Dreams name its new mascot? Can you help color the squirrel and give him a name? 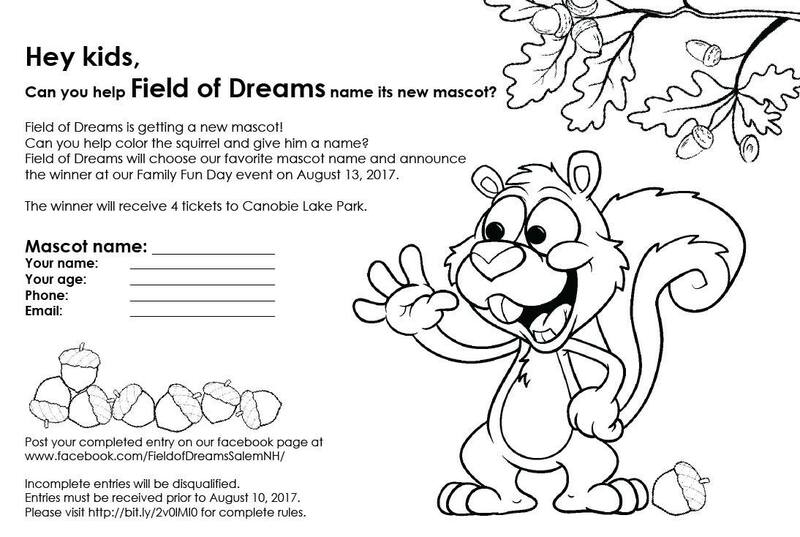 Field of Dreams will choose our favorite mascot name and announce the winner at our Field of Dreams Family Fun Day on August 13, 2017. Post your completed entry right here on our Facebook page! Please visit here for complete rules.